I love this tune. It will be played repeatedly when I’m on a rum bender… and that happens with awesome regularity. I’m shocked I had never heard this song before. With Ma and Pa’s passion for rum and cokes, combined with their love for tropical settings and everything that goes along with it, I don’t know why it’s never been played in their backyard on any of our glorious swimming days or at any of their family parties. Perhaps I have now been able to pass something along to them for future celebrations. The rum playlist goes two for two with this pirate shanty. Playing this song will have you and your mates swinging your arms and your mugs of libations around and having a great time of it all. You might even start some swashbuckling adventures thanks to the theme. Yo ho ho and a bottle of rum! This song originally comes from the book Treasure Island by Robert Louis Stevenson and has been featured in the Pirates of the Caribbean movie franchise. Yar! Bundaberg Rum has a reputation of being consumed by loud and troublemaking folk. You know, the kinds of jerks at the bar you don’t want to be around. In Australia, they’re referred to as yobbos, which is a great term. Four bars in Brisbane banned the rum in 2005 because of the disruptive nature it caused for some. Apparently, this is exactly what the Bundaberg company wanted, as its ads were geared towards the yobbos. As for the song, it’s alright, but not as good as the other two. Rum pum pum pum… I guess this doesn’t really belong. Let’s get drunk! What’s your favourite rum anthem? Make sure it’s loaded up the next time you crack a bottle of Bundaberg Rum and go on a rampage! I really enjoyed this drink, despite its use of many ingredients I find to be hit or miss. This time, items like Pineapple and Lemon Juice were indeed hits. 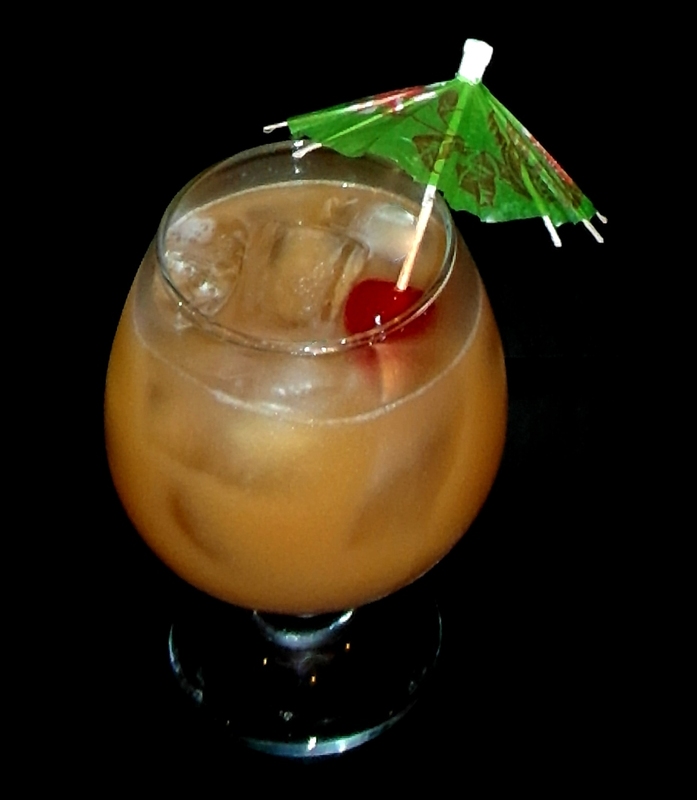 There are other Bahama Mama recipes out there, but I completely recommend the one I settled on. This entry was posted in Crazy & Classic Cocktails and tagged Bahama Mama, Bill Scott, Bundaberg Rum, Captain Morgan Dark Rum, cocktail, Cocktail Umbrella, coconut rum, Dead Man’s Chest, Kahlua, lemon juice, Little Drummer Boy, Maraschino Cherry, pineapple juice, Rum and Coca-Cola, Rum Playlist, Rum Songs, Rum Week by Daniel Wilson. Bookmark the permalink.